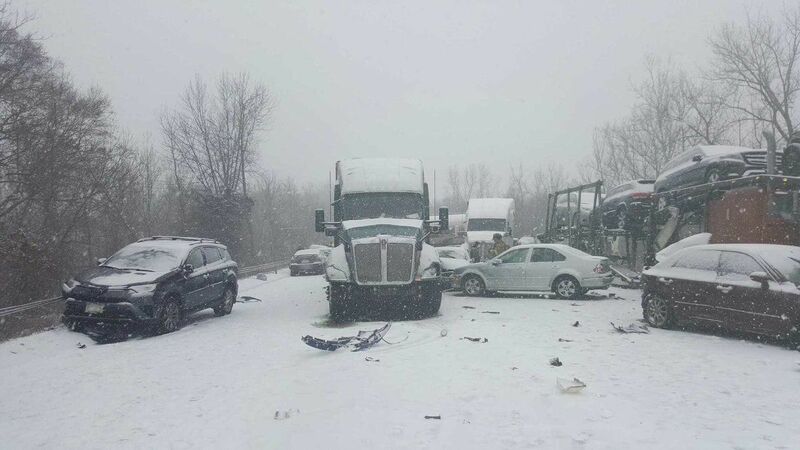 MIDDLETOWN, Connecticut -- Weather was likely a factor in a massive pile-up crash on I-91 in Connecticut Saturday involving nearly two dozen vehicles. 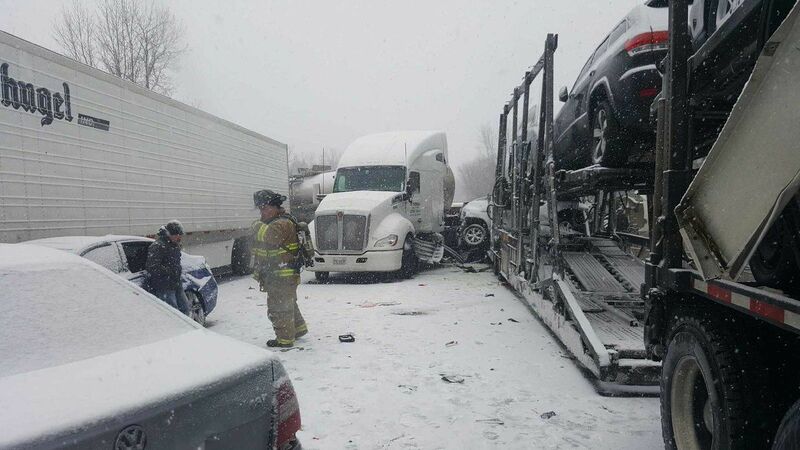 The crash happened in the southbound lanes of I-91 near exit 21 in Middletown. 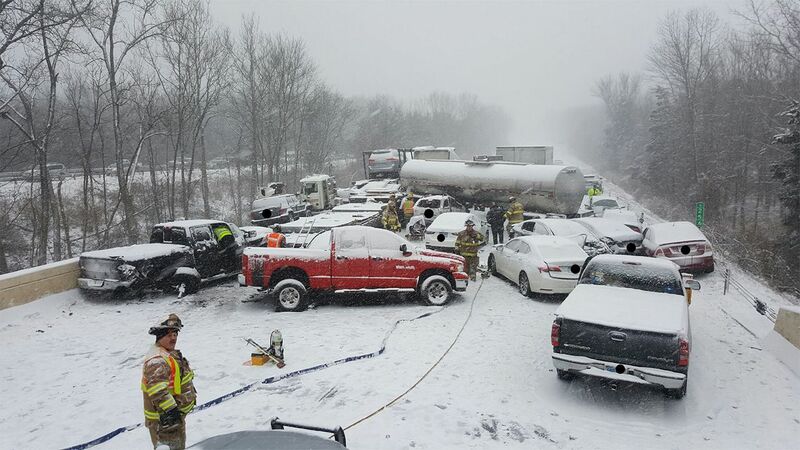 Connecticut State Police said the crash involved at least 20 cars, 3 tractor trailers and a tanker truck. No serious injuries were reported. 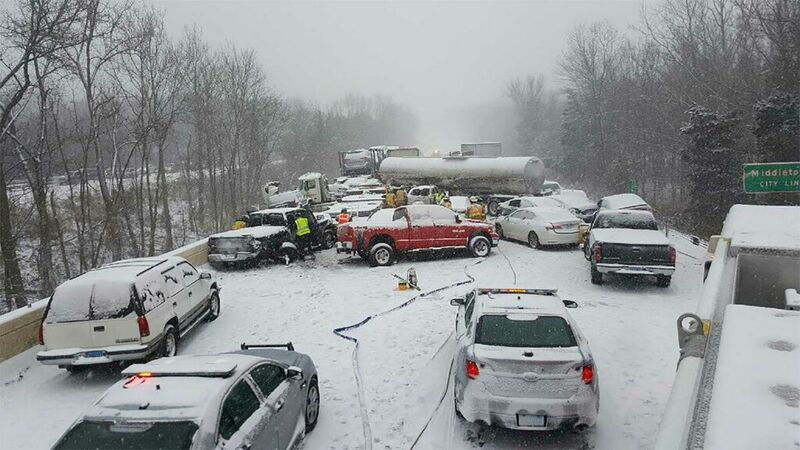 Interstate 91 south was shut down between exit 21 and exit 25 for more than five hours. 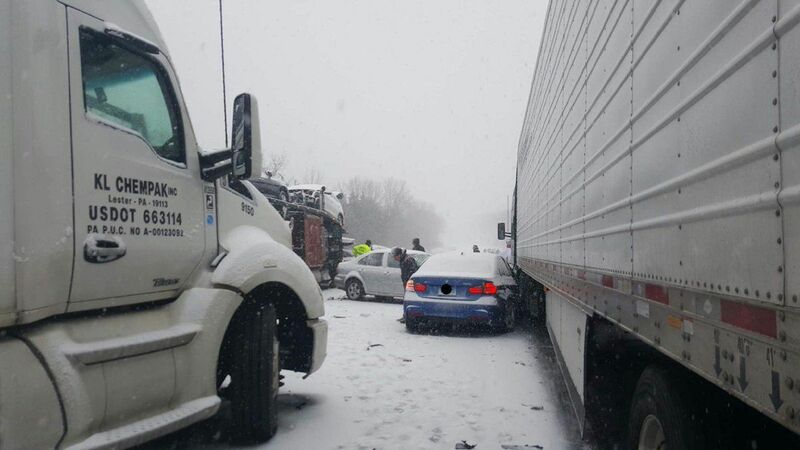 The state police reported multiple crashes and spin-outs across the state.